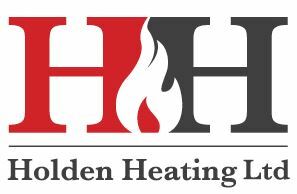 Holden Heating Ltd - Central Heating Engineer, Plumber based in Long Eaton, Nottinghamshire. Hello and welcome to the Holden Heating Checkatrade page. We are a small company based in Nottingham but working throughout Derbyshire. Our main line of work is Central Heating and all our work is carried out by Gas Safe qualified Technicians. Some of the skills we offer include; boiler installation and servicing, central heating installation and servicing and landlords certificates/safety checks. We are also fully qualified for Plumbing and maintenance work including; power flushing, radiators/valves/thermostats, under floor heating and water leak detection and repair. Our team are always on hand and happy to answer any queries you may have. One of the reasons we enjoy being a smaller company is that we are able to offer a very personal service no matter what size the job is, ensuring your work is completed to the highest quality. We work in both the domestic and commercial sector, able to adapt our skills to suit the customer in question and provide a service suited to them. We are also proud to be able to offer free estimates and 24 call out ensuring we are always around to help with any problems you may have. We hope you find this information useful, but if you have any questions, please don’t hesitate to give us a call or visit the website.